A parent grant program exists for families who have a gross annual salary (before deductions) of $80 000 or less per year. 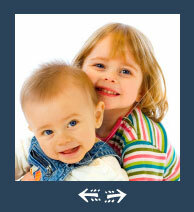 Financial help can be available to help cover the costs of daycare for your child or children. For more information, you can contact the general manager of Garderie Mont Ste-Marie Daycare Center or visit the Government of New Brunswick's official website.